However, while the news was undoubtedly disappointing, as well as surprising in its timing (ahead of the new CEO, Darcy Willson-Rymer, revealing his postponed turnaround strategy), few in the industry would deny that Clinton’s downfall has – to excuse the pun – been on the cards for a while. As I wrote two years ago when Clintons’ major competitor, Card Factory, was about to open in Newcastle’s prime Northumberland Street, Clintons’ recent fortunes have been in marked contrast to its expanding discount rival. Back then, I noted that Clintons had had to turn over double what Card Factory had in order to generate the same profit, though the £24.1m pre-tax profit that Clintons made in 2009 – seen as disappointing at the time – seems like a different lifetime to its most recent £3.7m six-month loss. It demonstrates, if nothing else, just how quickly a retailer that’s bumping along can slump into a fatally lossmaking position. The interesting thing, of course, is that while Clintons has plunged further into the red, Card Factory’s profits have continued to soar. 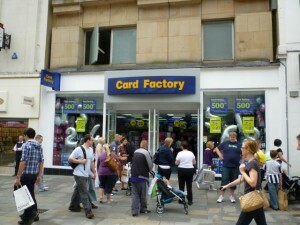 So what is it that’s making Card Factory successful, even in the present downturn, while Clintons flounders? It’s true that Clintons has been slow to address the growth of online, personalised card stores – such as Moonpig, and WHSmith’s Funky Pigeon – at the same time as the traditional greetings card market has been in decline. 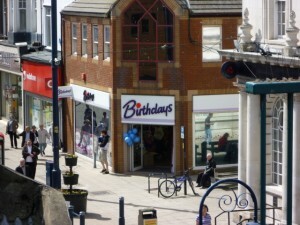 However, even Card Factory has only had a strong presence in that area since it bought GettingPersonal.co.uk in July last year, so while the booming personalised cards market is surely a factor in Clintons’ troubles – and one that will only get more influential – it’s still a relatively small part of the story so far. For me, Clintons’ difficulties come down to two linked factors, both of which are largely self-imposed: its confused market positioning, and its underwhelming stores. On the first point, Clintons’ pricing has positioned it towards the upper end of the market, competing with the more exclusive chains such as Paperchase and Scribbler, as well as with middle to top-end rivals like Hallmark and WHSmith. However, while Paperchase and Scribbler offer an undoubtedly upscale shopping environment, in select and often upmarket locations that justify the premium pricing, Clintons has stores on virtually every high street, sometimes in less-than-salubrious locations. The millstone of the separate Birthdays chain – Clintons’ ill-advised Kwik-Save-style purchase in 2002, which it has subsequently been trying and failing to get rid of – confuses the matter of Clintons’ positioning further: a supposedly ‘discount’ chain that has merely served to haemmorage money and increase perceptions of its parent chain as the expensive half of the partnership. 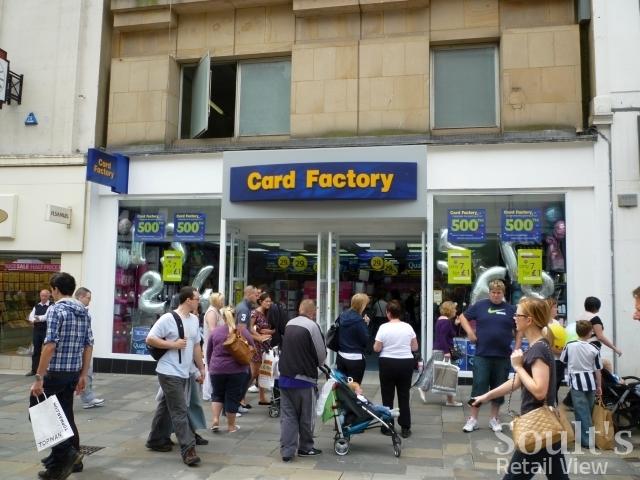 No wonder that Card Factory, with its clear and straightforward value proposition has been mopping up, its reliance on own-brand cards – rather than the big card suppliers, like American Greetings – giving it full control over range and pricing. On the second issue, of Clintons’ store estate, one problem is certainly that there are too many stores. Visiting the North West last week, for example, I spotted three eponymous Clintons stores in Preston city centre, which seems to make little sense on the modern high street. Just as important an issue, however, is that the stores are generally not up to scratch in terms of their customer experience. Walking around Lancaster on the day that Clintons collapsed into administration, I made a point of visiting the city’s Clinton Cards store in Penny Street as well as the Card Factory shop in nearby Cheapside. While the staff in Clintons were lovely, the store itself was a bit scruffy, probably overspaced, and with the generally soulless and uncelebratory feel that seems to characterise the Clintons estate. 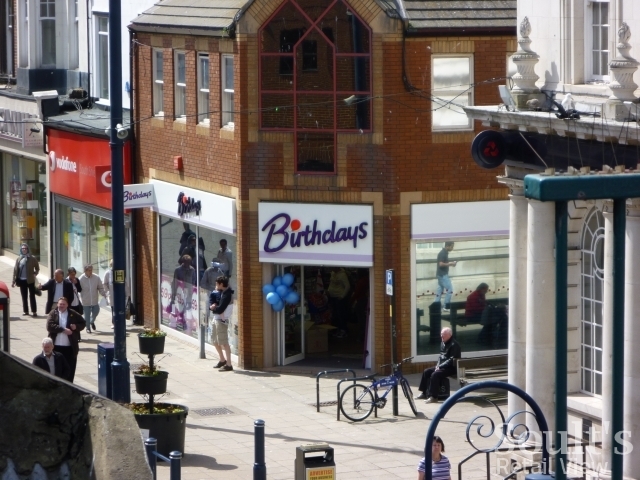 Though the Card Factory along the street could have done with being vacuumed, it managed to generate a lot more buzz (and many more customers) in a much smaller space. This is not an isolated experience, either, and Card Factory’s recent eyecatching window dressing for events such as Valentine’s Day and Mother’s Day – even in unglamorous locations such as Gateshead town centre – has put Clintons’ efforts to shame. Yet, if Card Factory offers an experience that is at least as engaging as Clintons’ for a fraction of the price, it’s easy to see why customers are voting with their feet. So, what can be done to sort out Clintons’ problems? Almost certainly it will involve store closures or disposals, perhaps with Card Factory mopping up some of the sites in locations where it isn’t already represented. 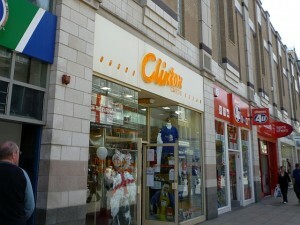 In cities such as Preston, it surely makes more sense for a slimmed-down Clintons to invest in having one excellent store rather than three ordinary ones. Given the lack of interest in Birthdays to date, it’s also difficult to see how that might survive as a viable fascia. So, with a truncated Clintons estate of perhaps 250-400 stores, the challenge will be much the same as any high-street retailer faces at the moment: offering customers something that is truly distinctive from what they can get online or at a retail park, whether that’s in terms of value, convenience or the instore experience. Assuming that the new Clintons decides to position itself slightly upmarket from Card Factory – and it would probably be a fatal move to try and compete on price alone – there are several logical steps forward. Certainly it will mean smartening up and enlivening the store environment, and creating more instore theatre and events – theoretically not too hard for a retailer that is all about celebrations. At Christmas, for example, there could be mileage in having demonstrations on how to wrap the perfect present – complete with attractive deals on paper, tags and ribbons, of course. Crucial, however, will be Clintons’ ability to beef up and leverage its multichannel position. 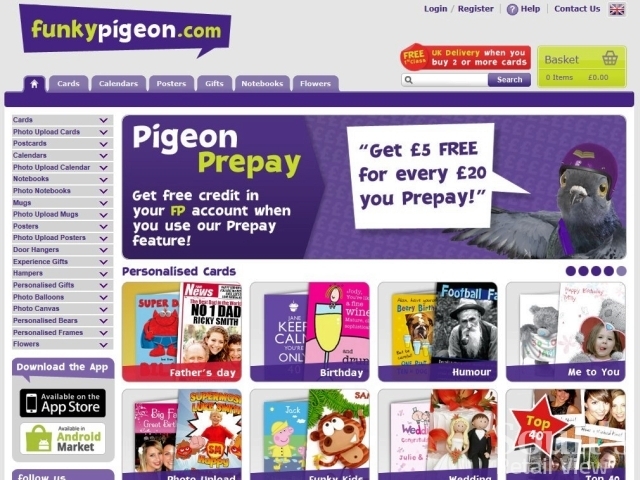 Funky Pigeon, for example, has recently made a tentative move into stores, and there’s great potential for Clintons to use instore terminals to generate awareness of and interest in an online personalised cards offer. If Clintons is to have a future, it needs to take on its rivals by doing things differently or better, see the Internet as an opportunity not a threat, and make sure it conjures up the instore wow factor that’s been sadly missing to date. As the founder of http://www.hephalump.com, a small but perfectly formed online card site, it was the recognition that the bricks and mortar market leader had not embraced online that persuaded us to get involved. Clearly Card Factory have cut costs by producing in quantity in China and cutting out the publishers with their own designs which mirror the market. The dilema for a mass market retailer is do you get down and dirty as Tesco and Asda have with the hard discounters (Aldi etc)or move upmarket and add value. Clintons did neither and both at the same time while missing the key opportunity that online offered. American Greetings put the knife in but it was the humane thing to do. Let’s see what they do with it now and see if they take some of your advice. 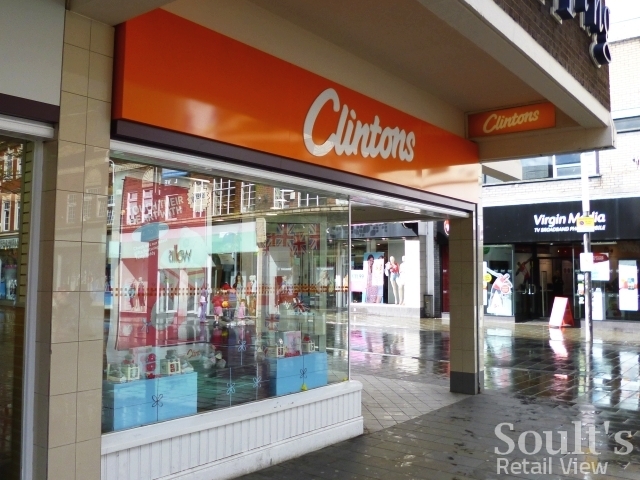 Soult's Retail View » Can Clintons’ new look help restore the chain’s fortunes?